Are you tired of recliners that are difficult to adjust and offer only a few possible reclined positions? Electric recliner chairs are designed to directly address these problems. With electric recliner chairs (also called power recliner chairs), raising and lowering a chair’s footrest is as simple as pushing a button. This means no wrestling with a cumbersome lever, or struggling to push a footrest down with your legs. These chairs also allow you to choose from infinite angles of recline so you can get just what you need to be comfortable. Wiring up a recliner also enables some models to add pretty fancy extra features, such as massage or chair lifting mechanisms. 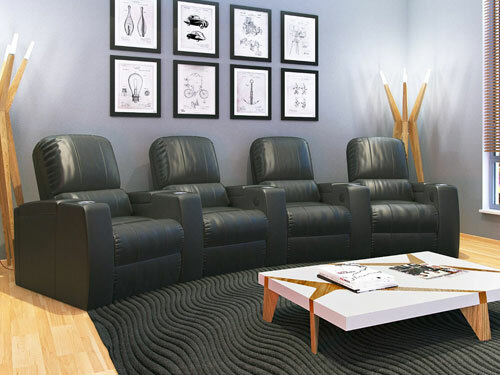 Please feel free to browse our comparison chart of some of the highest rated electric recliner chairs below to get an idea of available options. Continue reading below the chart to get more details on a few standout models. Hopefully the comparison chart above is useful in getting a sense of electric recliner chairs that are available at different price ranges. Below we highlight a few of our favorite chairs and go into more detail about what makes them popular choices. 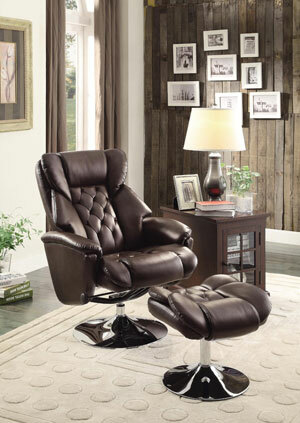 The Coaster Home Furnishings Casual Power Lift Recliner has earned high praise. This chair is covered in plush padding and was designed to be easy to use. The recline function can be activated with the bush of a button on the chair’s included remote control. 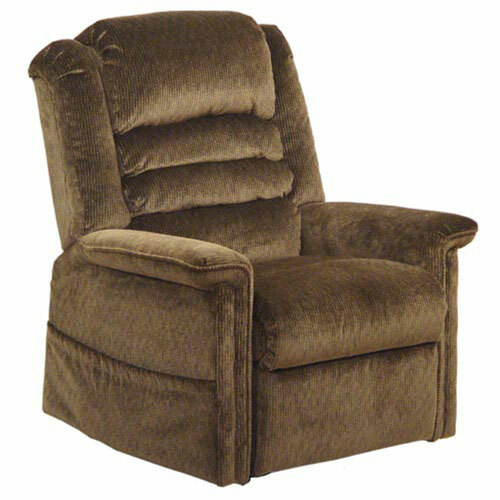 This recliner also features a lift function to help users with back or knee problems easily sit and stand up. A convenient sewn-in pocket is included on the right side of the chair to hold the remote control when not in use. The upholstery is a velvet material that reports say is comfortable and attractive looking. The chair measures 37 inches by 39 inches by 41 inches. It seems that there may be inconsistencies in the chair’s production quality, as most reviews state that the chair is durable and a minority state that the chair is not durable enough. 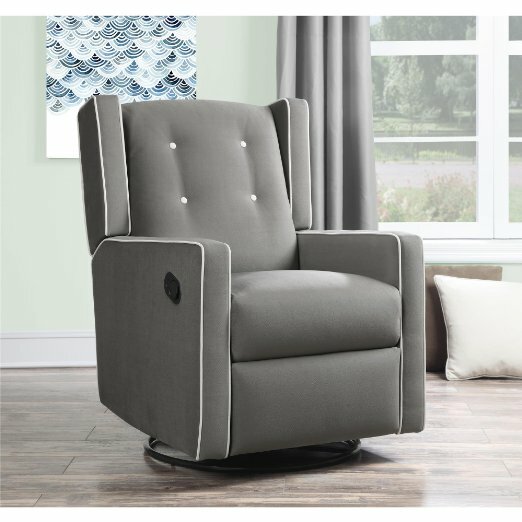 The Mega Motion Lift Chair Easy Comfort Recliner LC-200 3 Position Rising Electric Power Chaise Lounger offers comfort and convenient features. This model is a three position, all electric lift and recline chair. It is available in 5 colors: Chocolate, Brandy, Fawn, Navy, and Sage. 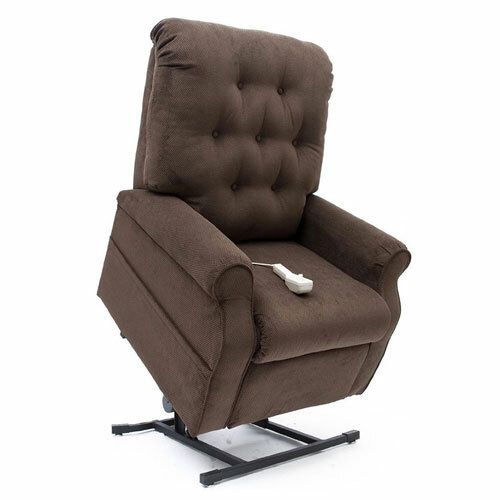 The reclining and lifting functions are both controlled via a simple remote control; people who bought this chair for elderly parents state that their parents have an easy time operating the remote. The chair has a relatively small footprint. It measures 41.5″ high, 34″ wide, and 38.5″ deep. The CATNAPPER 4825180015 Soother Woodland Power Lift Full Lay Out Chaise Recliner is one of the priciest models on our list. The price is explained by its features. 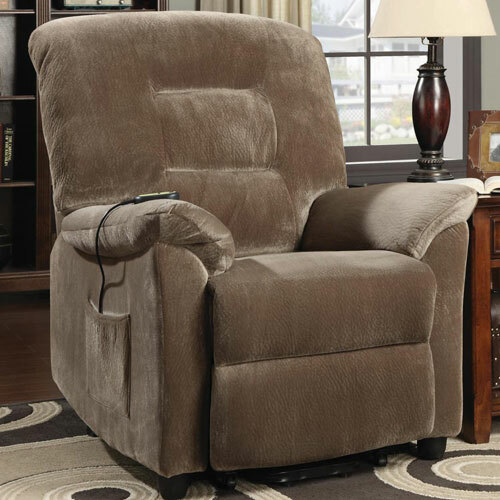 This chair has remote controlled reclining ability, and the chair reclines further back than standard recliners. In addition to the reclining function, this chair also has heat and massage features. The chair comes in four colors: Autumn Brown, Blue, Vino Red, and Green. One issue that was mentioned in the reviews is that the remote can be confusing for some elderly users. If you’re purchasing this chair for an elderly parent who may have trouble with the remote, you may want to go over the controls with them. It measures 39 inches wide by 36 inches deep by 43 inches high. Hopefully you have a better idea of which chair may work best for you now. 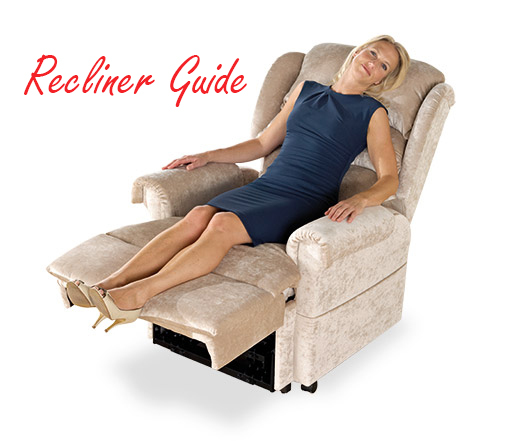 If you are looking for a power lift recliner, see our article specifically about power lift recliners for more options.